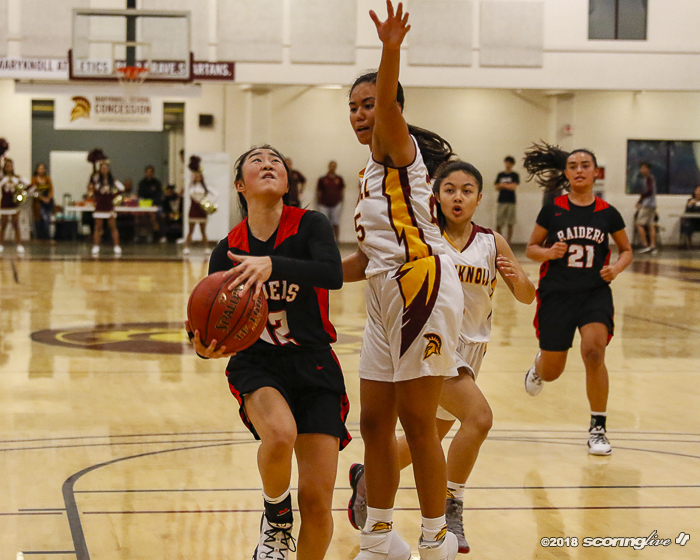 MAKIKI — A trio of Raiders scored in double figures as Iolani raced past Maryknoll, 62-39, in an Interscholastic League of Honolulu contest at Tony Sellitto Court at Clarence T. C. Ching Gymnasium Wednesday. 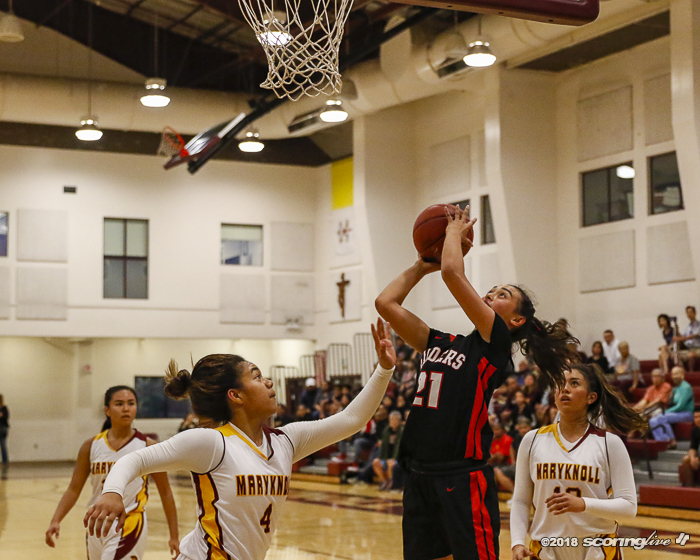 Iolani improved to 10-0 overall, 2-0 in the ILH and has flattened its opponents by an average of 27.0 points. 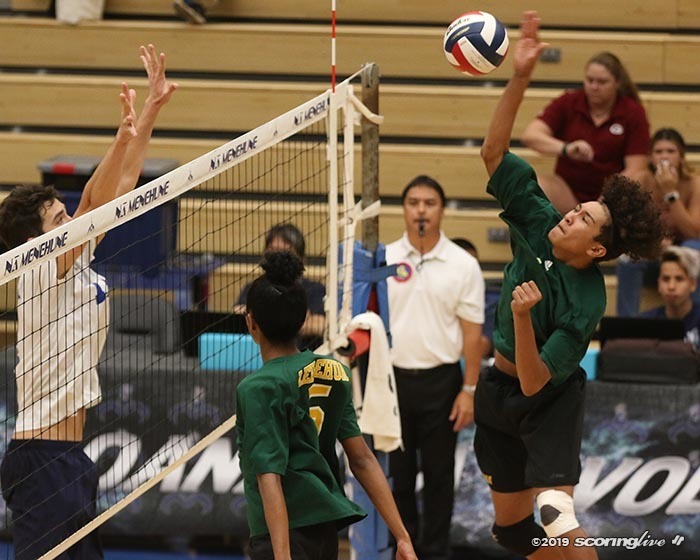 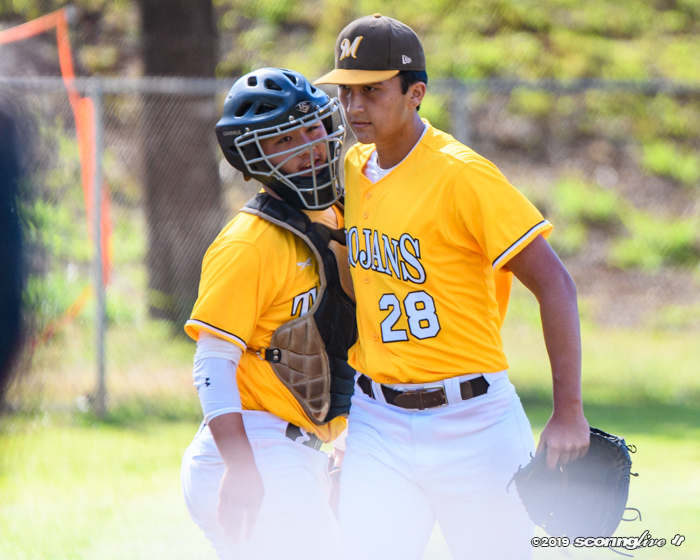 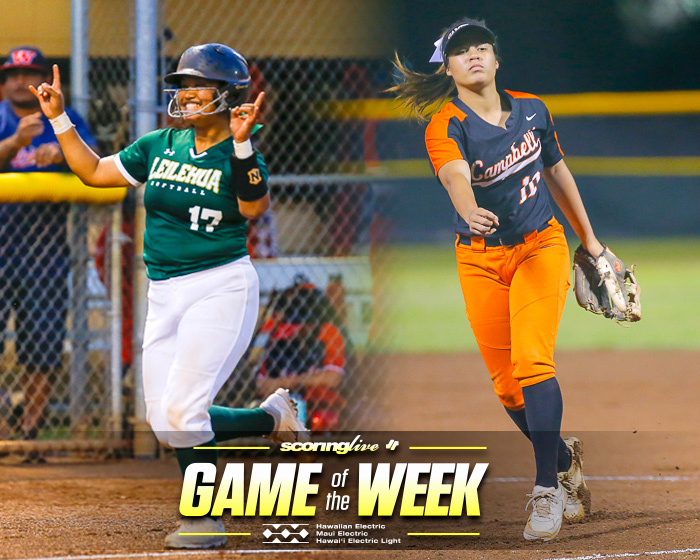 The Spartans (10-1 overall, 0-1 ILH) saw their 10-game winning streak come to an end, and prior to tonight, the program lost two ILH games in the past four years. 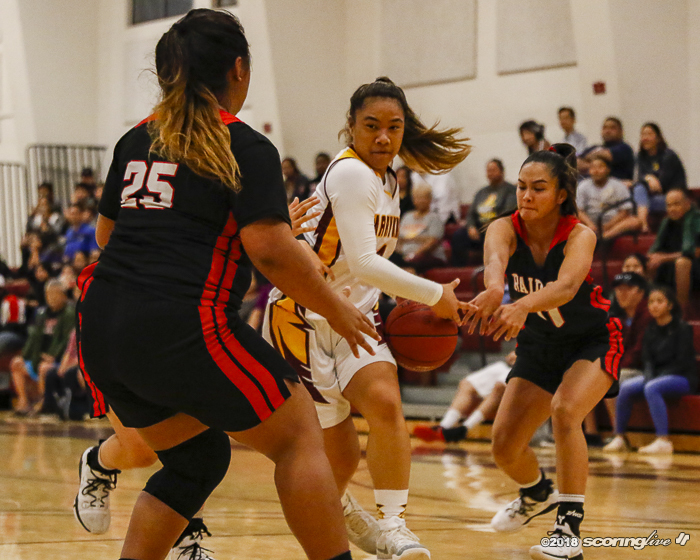 "This gives us a lot of confidence because we're undefeated and we haven't beaten them in so many years and we finally beat them. 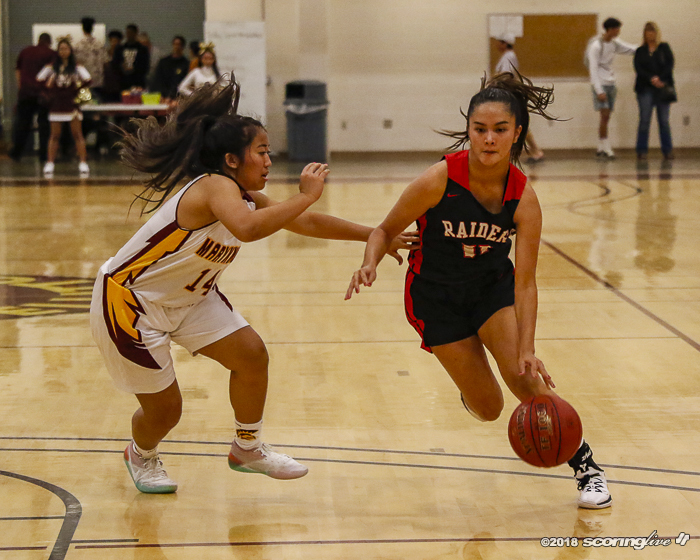 This shows we can do it and win," Iolani guard Taylor Wu said. 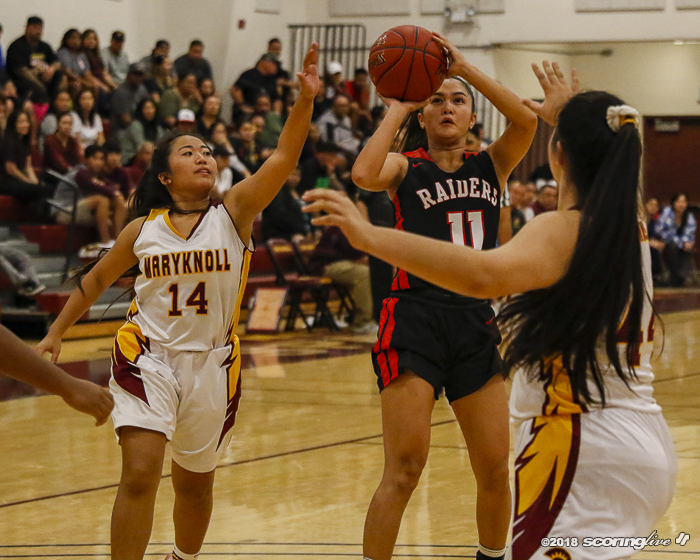 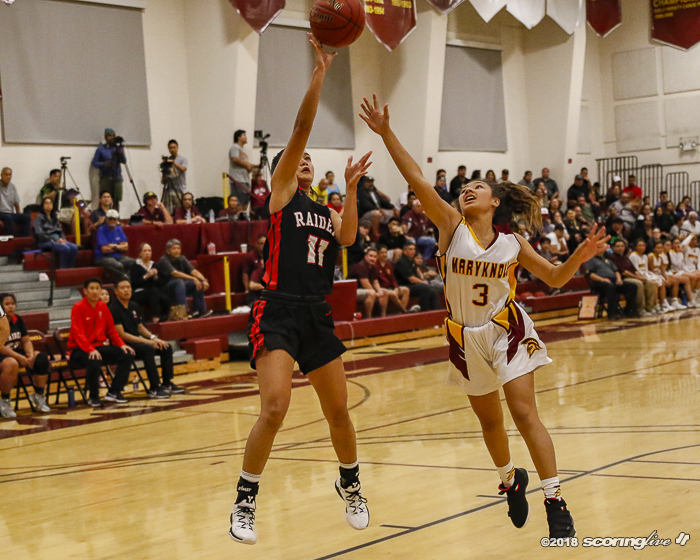 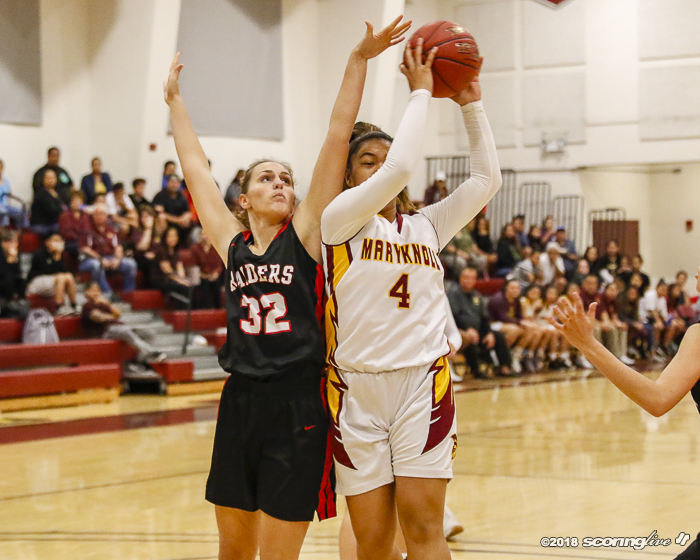 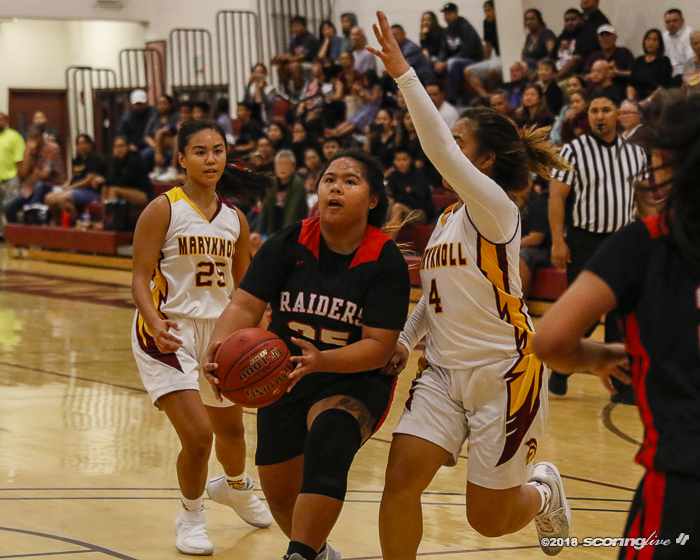 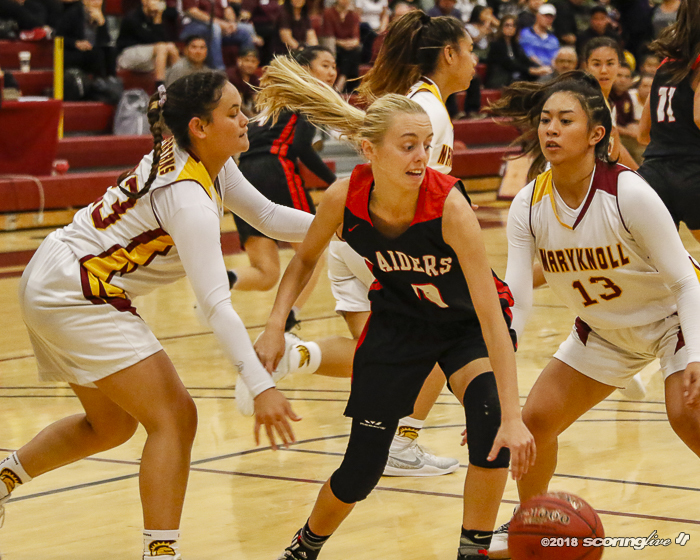 The Raiders played without leading scorer Lily Wahinekapu, who was nursing an ankle injury, but Wu led the Raiders with 14 points, Kyra Tanabe added 13 points and Jovi Lefotu came off the bench to chip in 12. 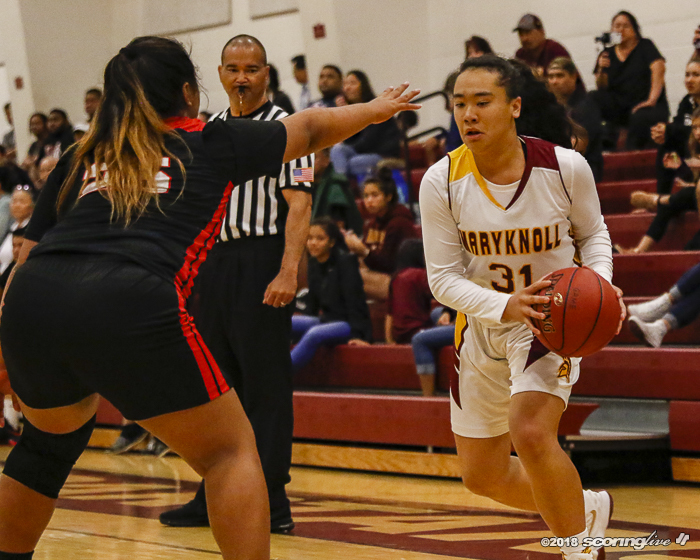 Kylie Yung had eight points and hauled in 10 rebounds. 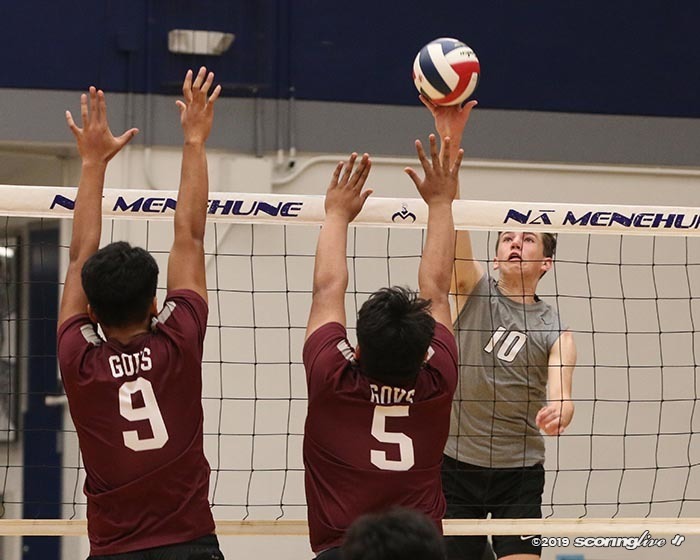 "It's a great win for us. 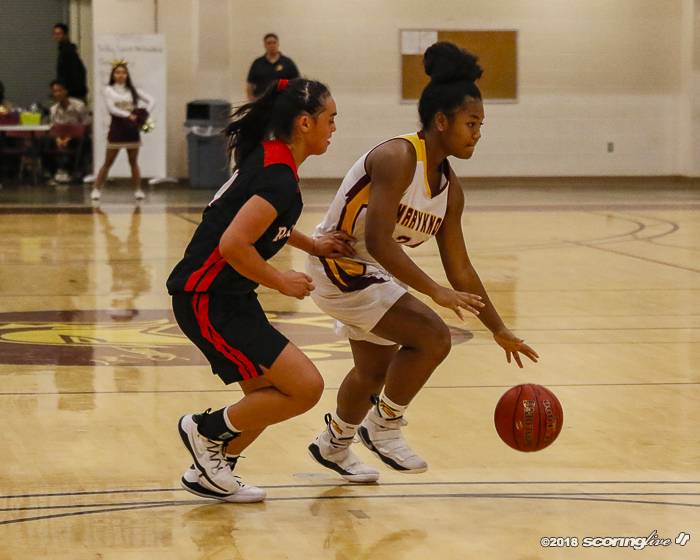 We were short handed tonight with two girls out. 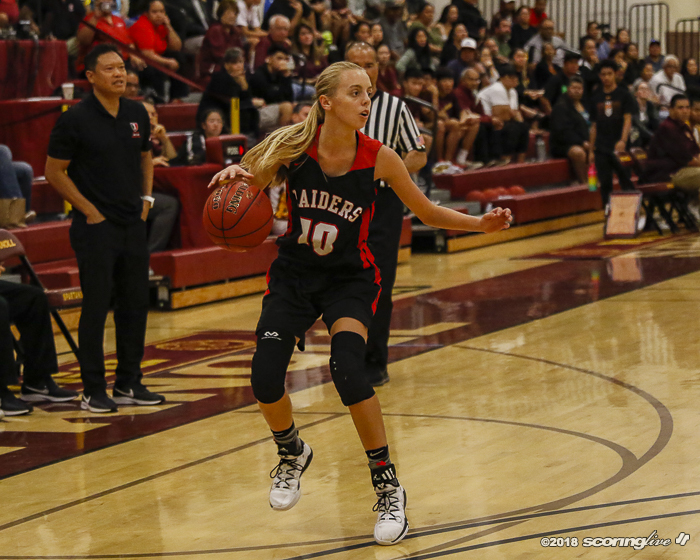 Lily stepped on a foot and turned her ankle on Monday, so we had a short turnaround to mentally prepare for this game without her. 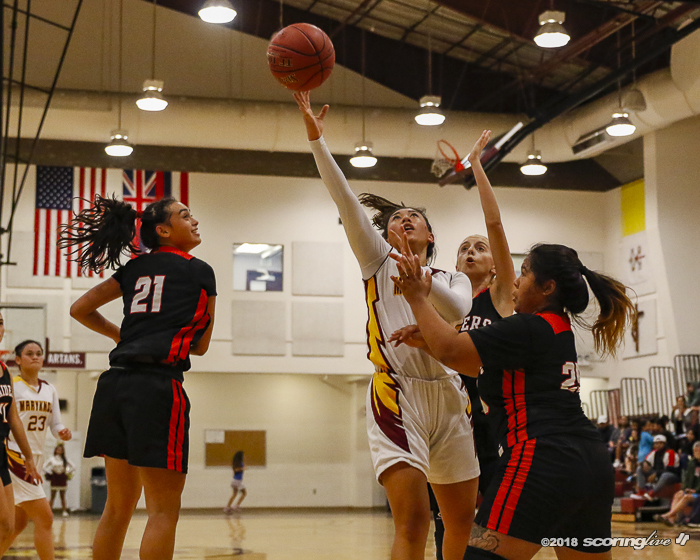 The team did a great job playing together and that was the difference today was our team defense," Iolani coach Dean Young said. 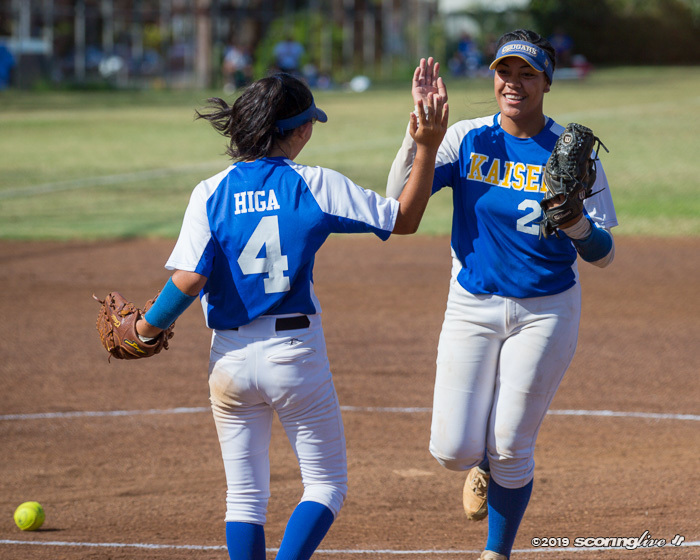 "It feels good. 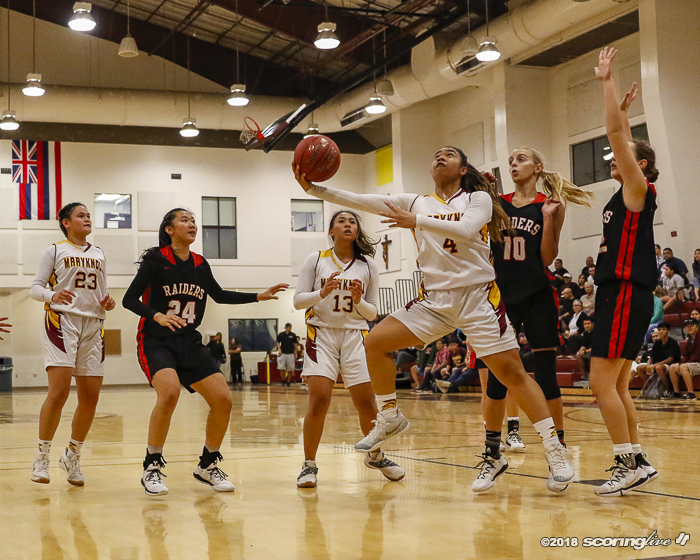 This group and team has a lot of confidence and we came into the game with a positive attitude. 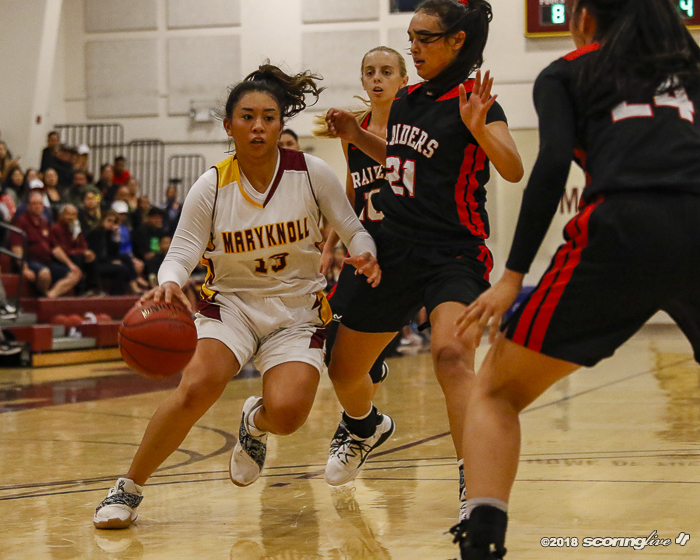 We were hoping for the best," Wu said. 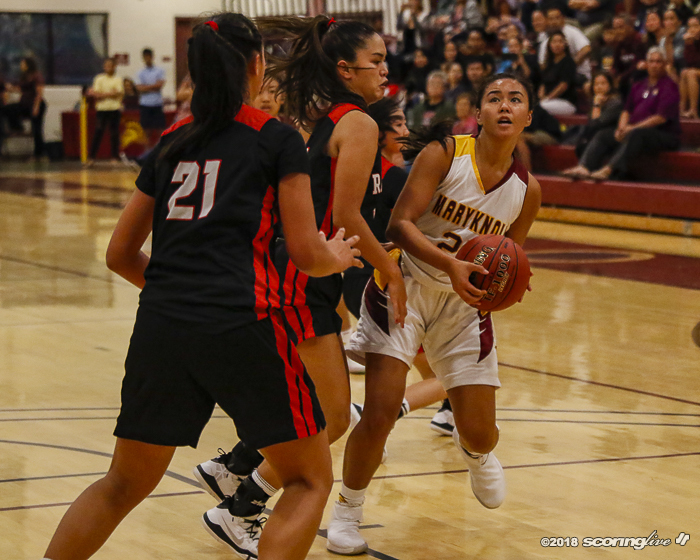 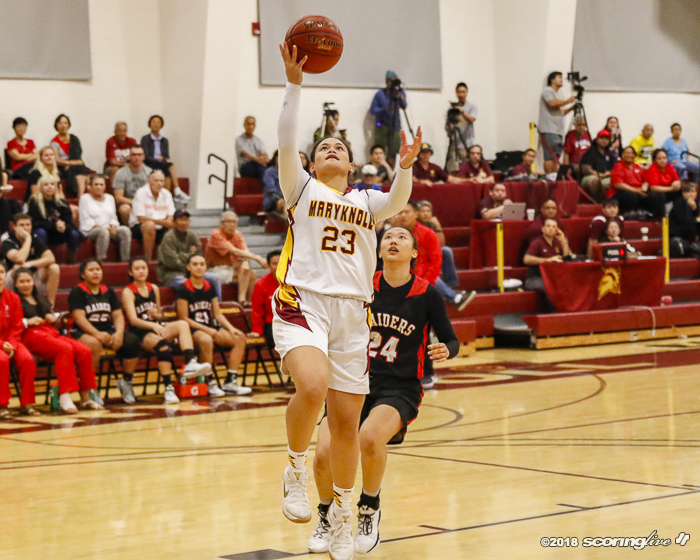 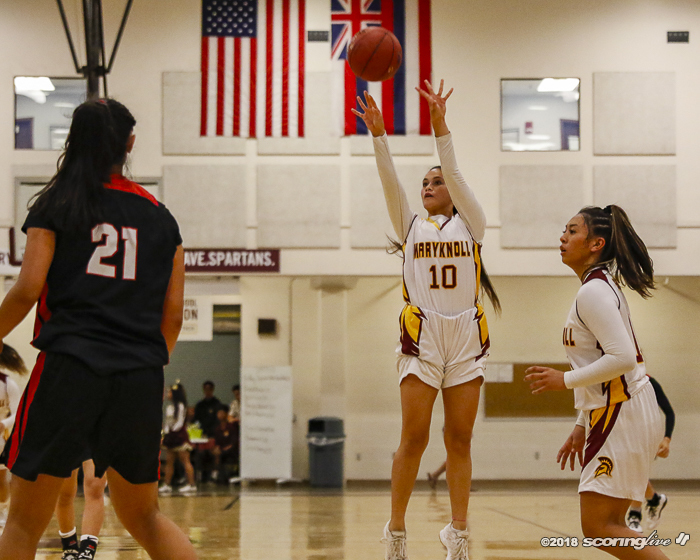 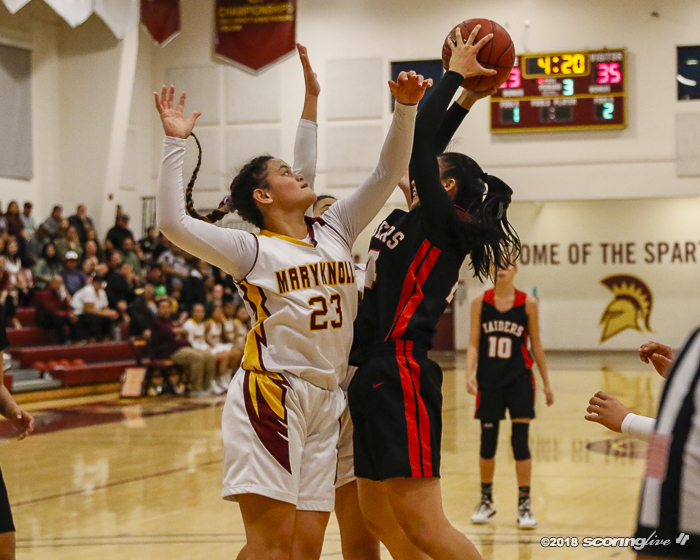 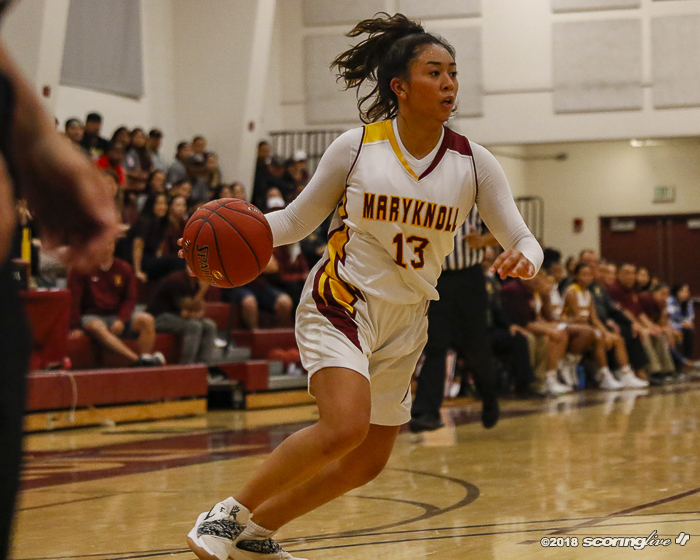 Alexis Huntimer filled up the stat sheet finishing with seven points, nine boards, five assists, three steals and a block and drew the assignment of guarding Jalen Tanuvasa, who led Maryknoll with 16 points. 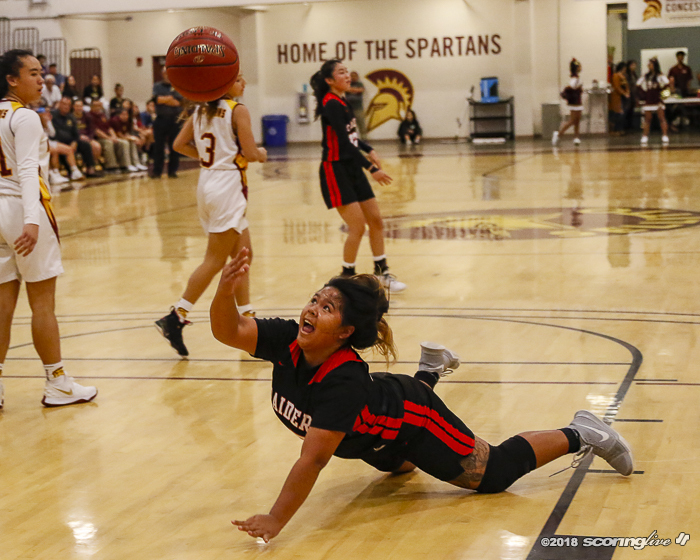 "She had an outstanding game. 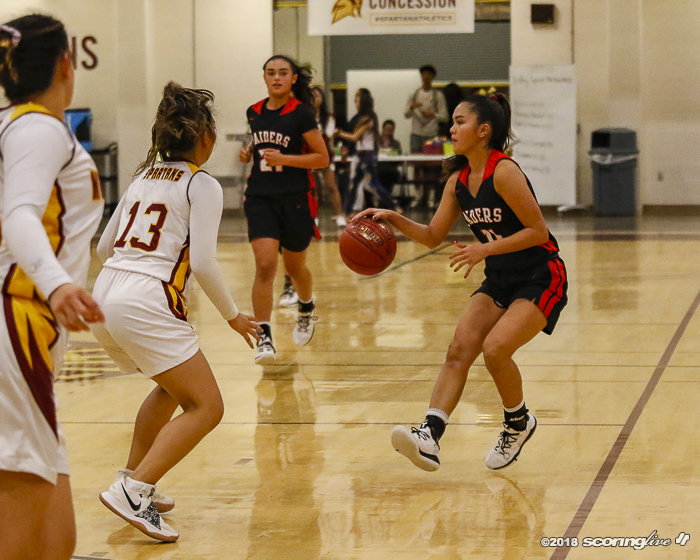 She controlled the game for us offensively and defensively. 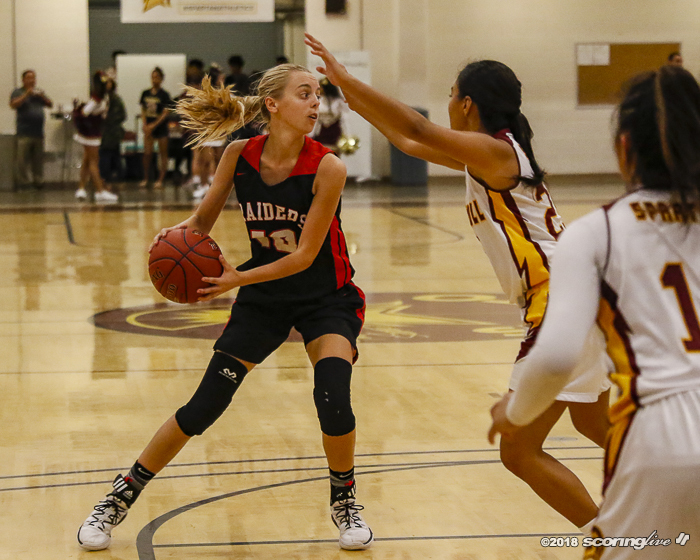 What a huge defensive assignment she took on and she did a great job," Young said. 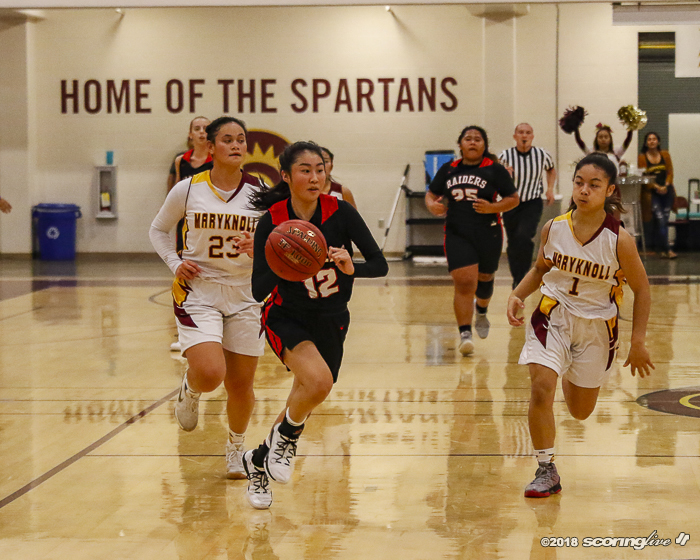 The Spartans led, 3-2, after Serenity Moananu (10 points) split a pair of free throws, but the Raiders went on a 12-0 run sparked by Tanabe's 3-pointer and Alexsandra Huntimer earned three points the hard way after being fouled and converting the free throw. 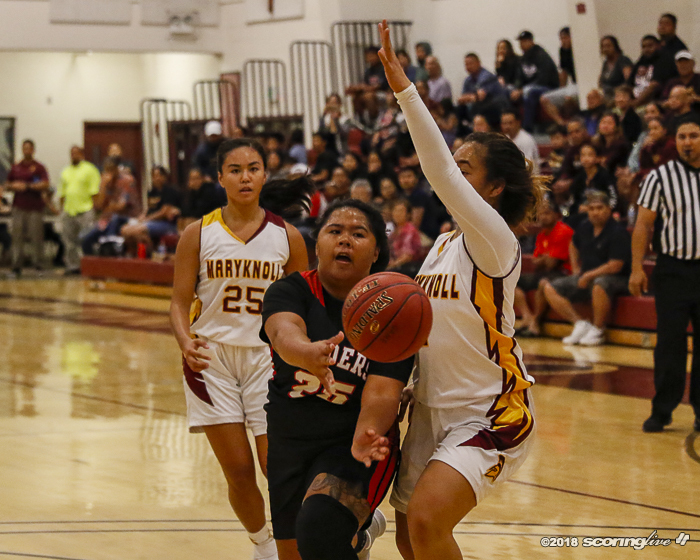 On the next offensive possession, the ball swung Tanabe's way and she made the extra pass to Yung in the left corner for a 3-pointer as Maryknoll had to call a timeout. 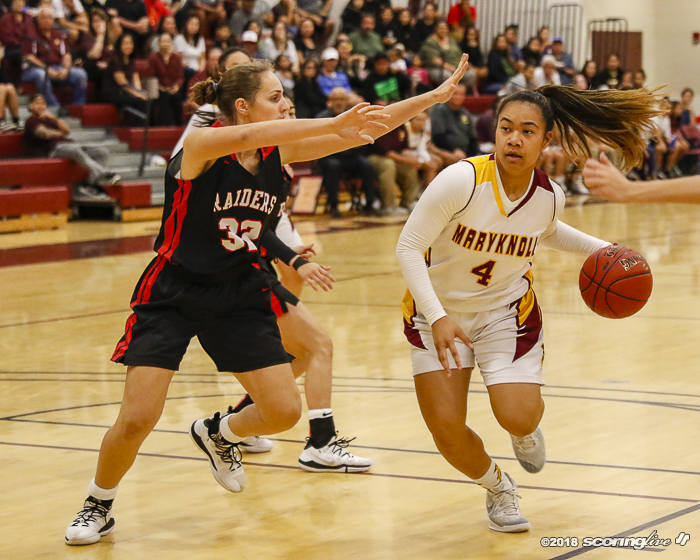 "We have been running our motion for about four or five years. 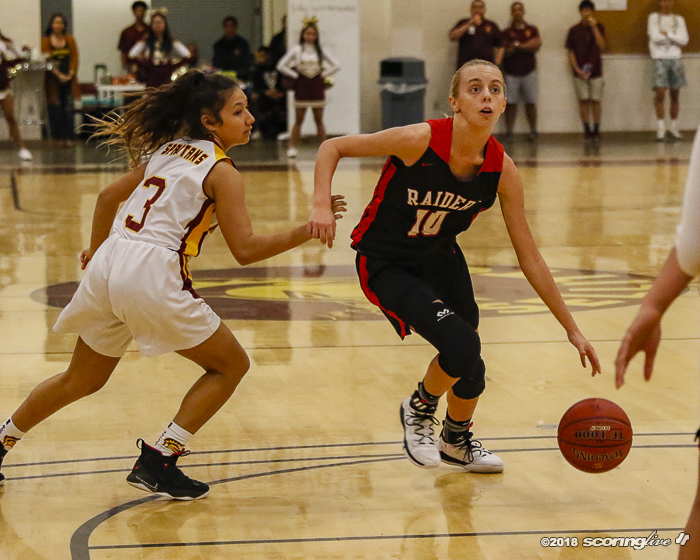 It's something we preach and talk about in practice about spacing, sharing the ball and making the extra pass and being unselfish. 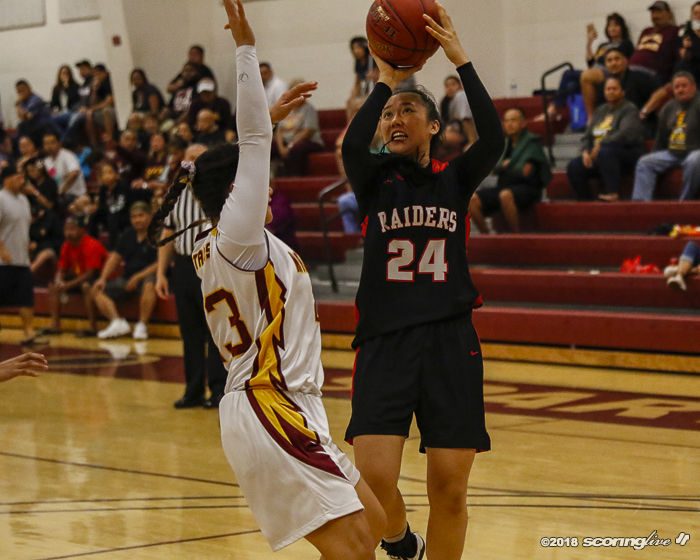 We hold each other accountable for that type of mentality," Young said. 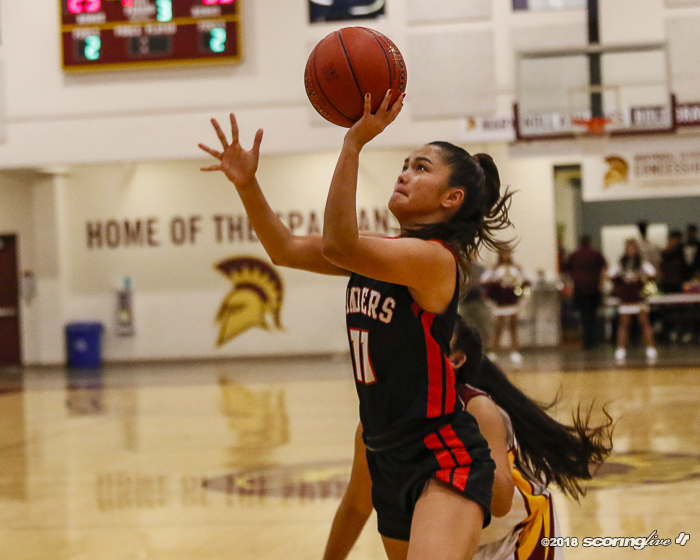 Lefotu continued the scoring spree for Iolani to open the second quarter. 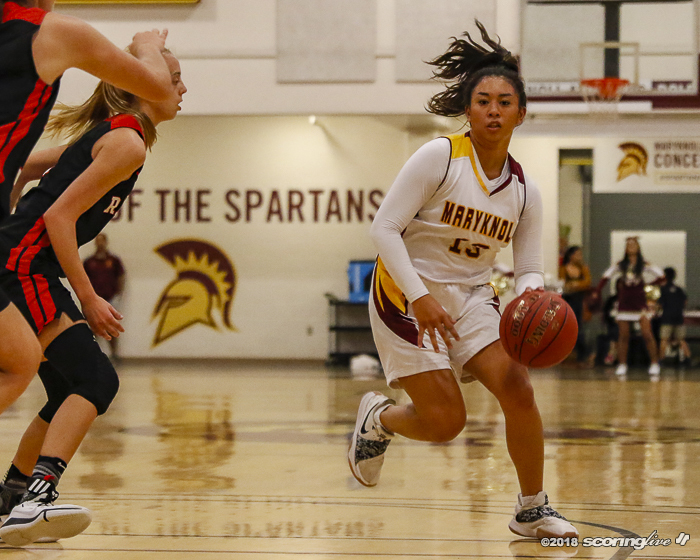 Lefotu putback her own miss and Alexis Huntimer found her wide open in transition for a layup for her eighth point to make it, 25-12 to force another Spartan timeout. 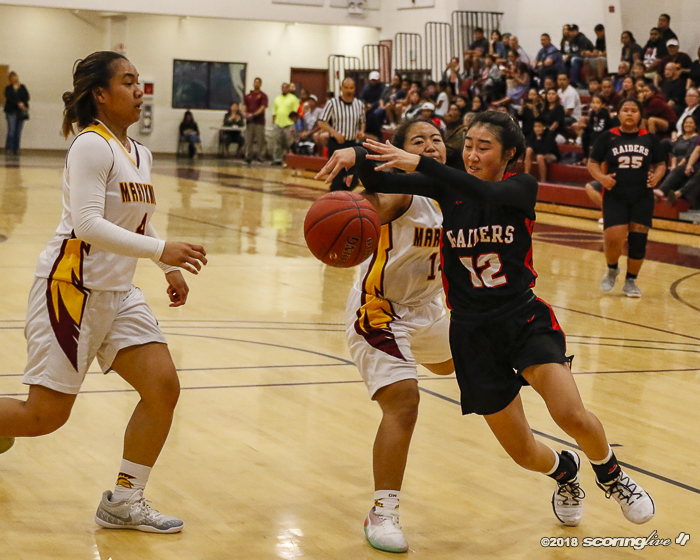 Tanabe sank a field goal and had a steal and layup during the 12-2 run. 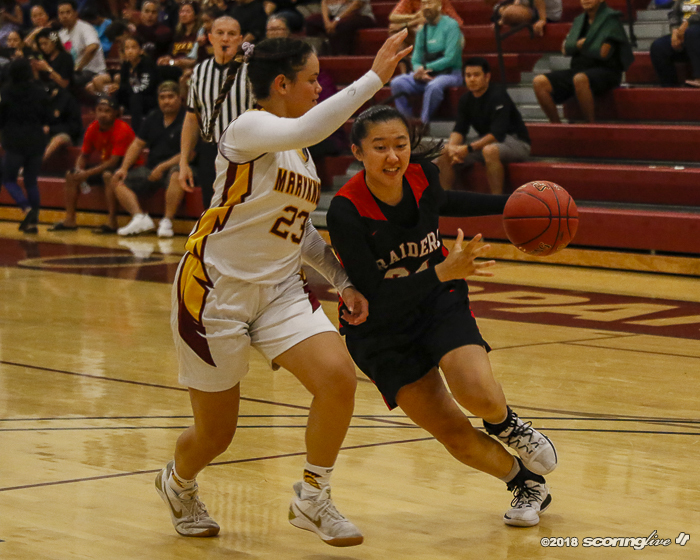 "Our team is fast and we can transition down the court and we usually find the open person," Wu said. 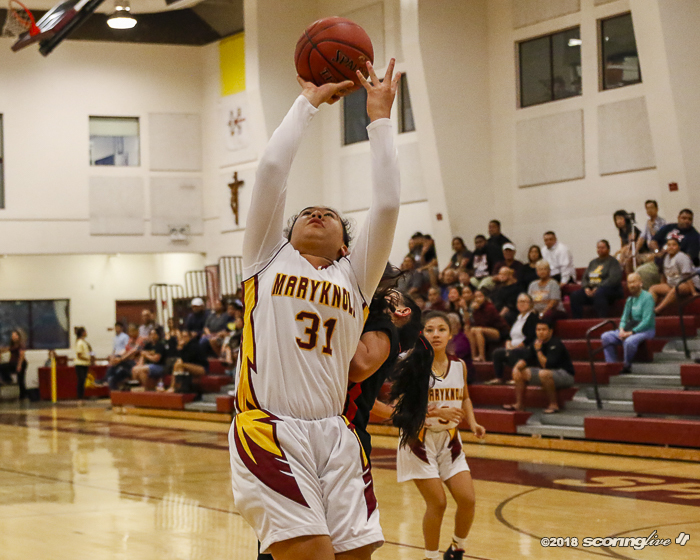 "We know we're faster than most teams and we work on our tempo and push the ball. 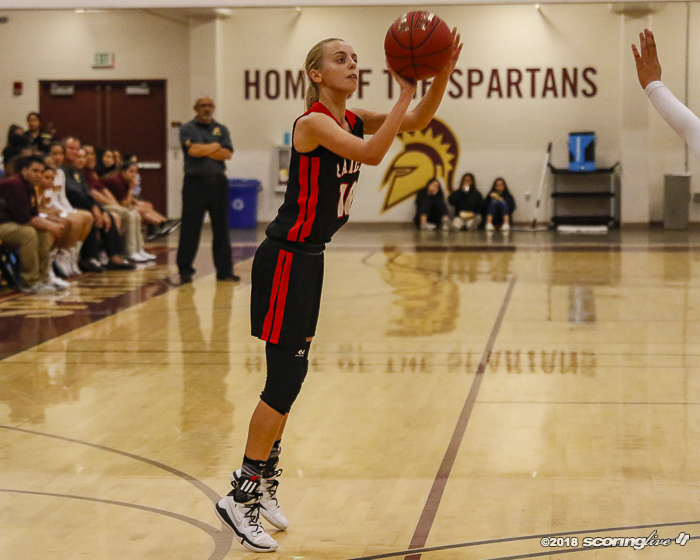 If one person runs, another person has to run with them for the dish or if they miss to put it back." 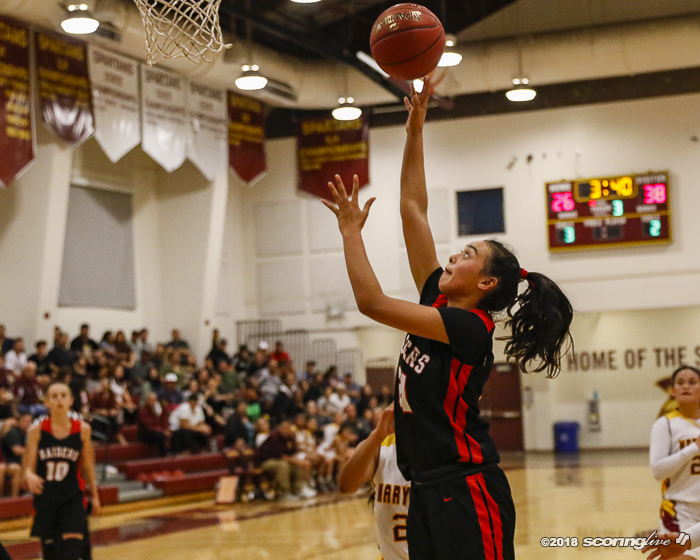 Iolani led 32-15 at halftime. 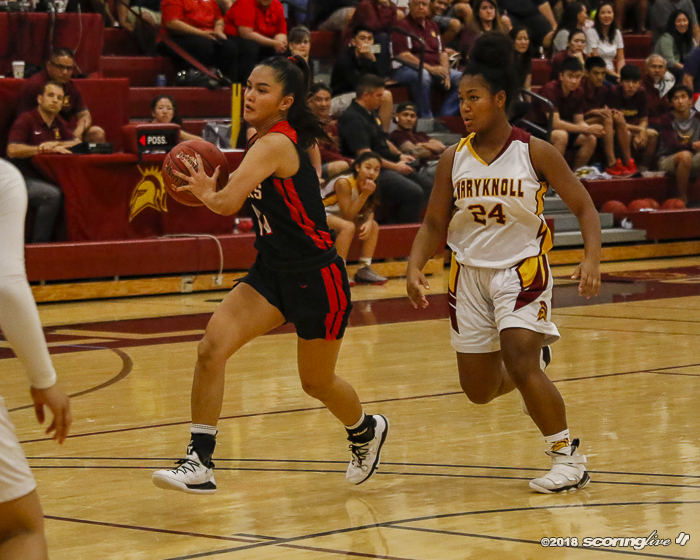 Maryknoll crept back in it after a 3-pointer from Moananu and two baskets from Tanuvasa, one was off a steal and drive to trail by 12, 35-23 and Iolani called timeout to talk things over. 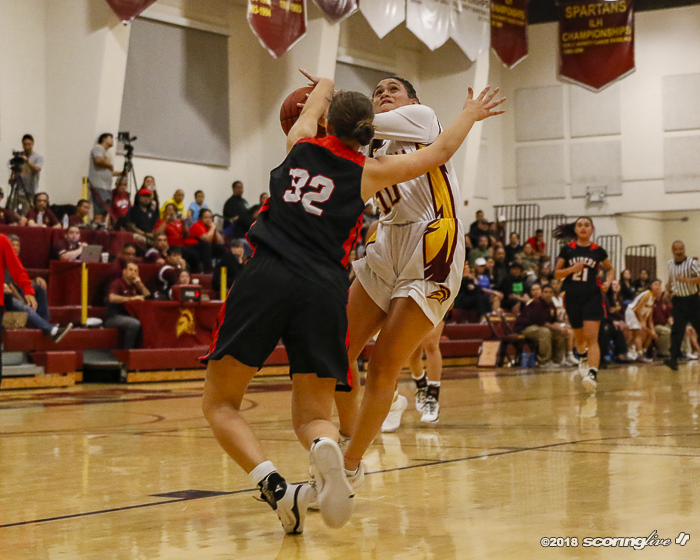 Wu got Iolani back on track with a drive plus the foul, Alexis Huntimer's steal and layup and Shyann Kahalehoe (four assists) dished it to Lefotu underneath the basket to extend the lead to 18, 44-26. 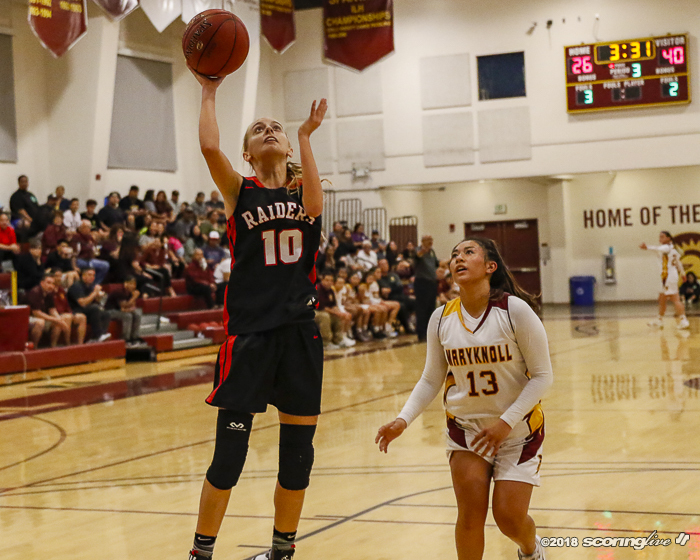 The Raiders drained three of their eight 3's in the fourth quarter and led by 20 or more to close out the game. 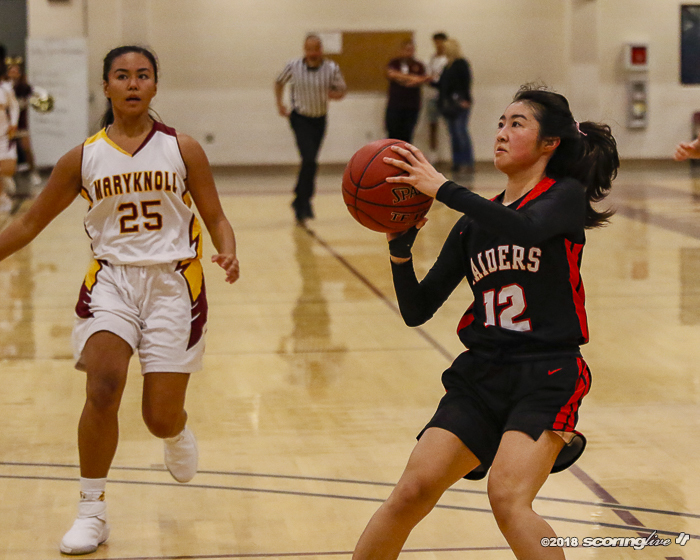 Iolani outrebounded Maryknoll by a slim margin, 30 to 27, but some timely offensive boards gave the Raiders scoring opportunities. 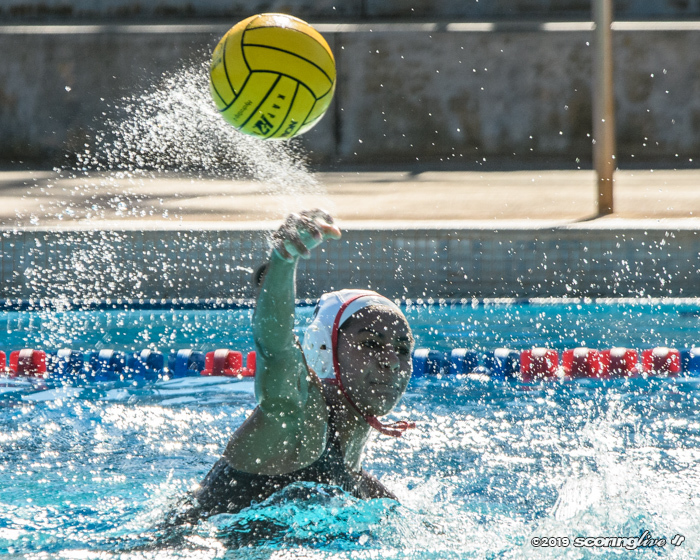 "That's huge for us. 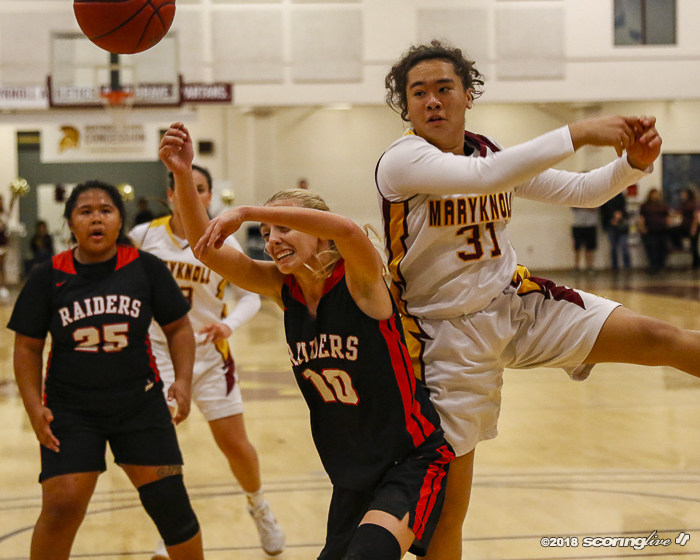 We're not a big team and we have to crash the offensive boards to gain extra posessions. 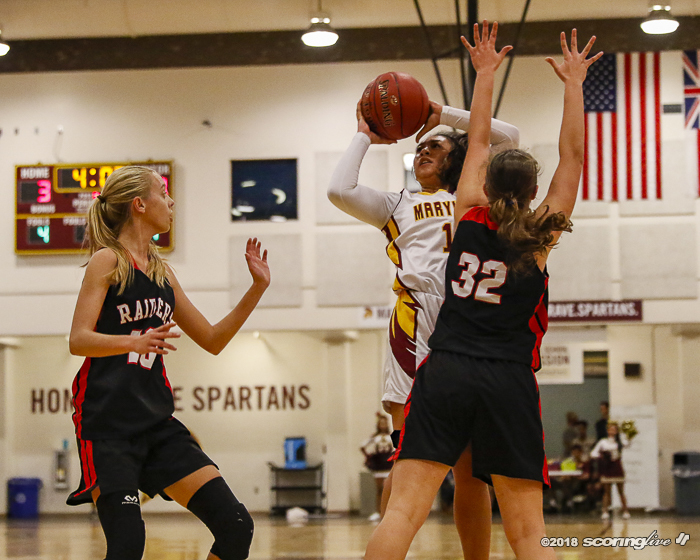 Everytime we get an offensive rebound, we look to kick it out for an extra 3-pointer," Young said. 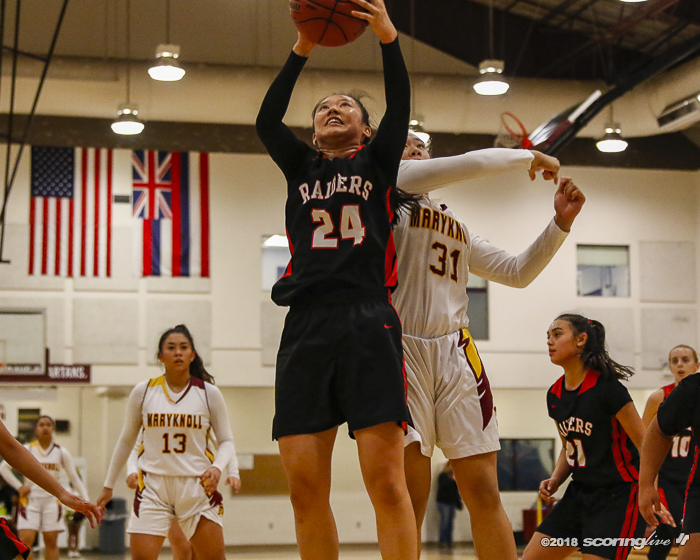 Iolani has a short turn around before it hosts Kamehameha on Friday, Dec. 7. 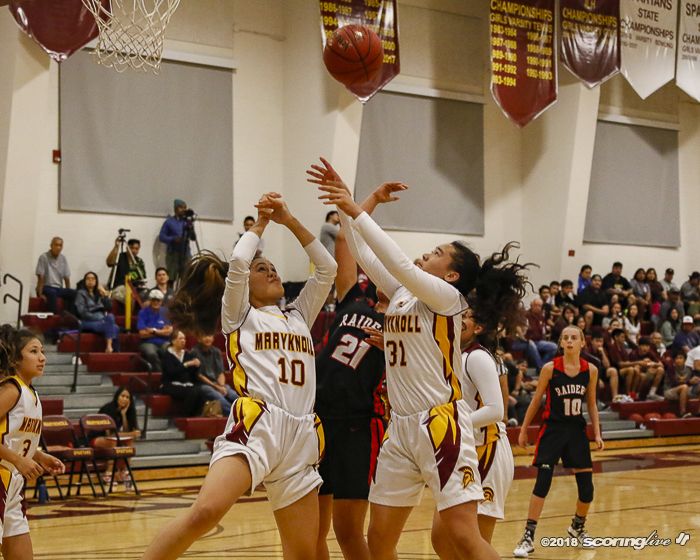 Maryknoll has time to correct things as it looks to rebound at Mid-Pacific on Monday, Dec. 10.